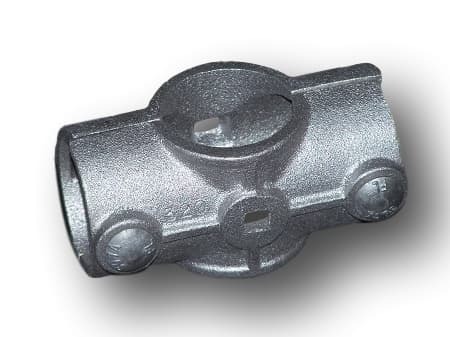 These castings are convenient for making handrails or any other applications requiring a junction for multiple poles. They are designed specifically for an 2 inch O.D. post size. Used this item for tying multiple trusses together for a 32' wide pier. I wasn't sure if this item even existed, but found it on line. 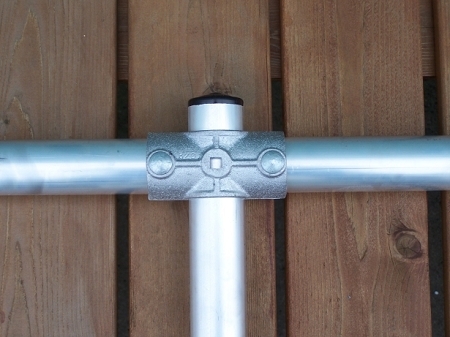 clamps tight to horizontal as well as vertical posts -- just what I needed for the application!